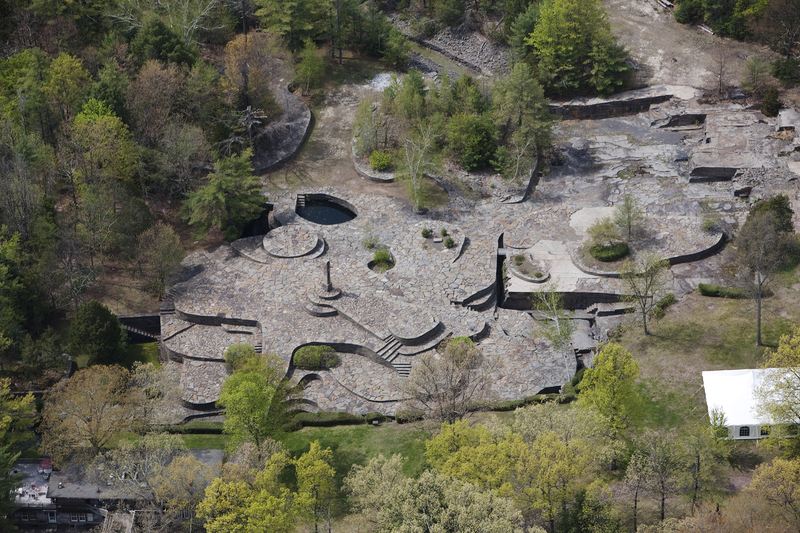 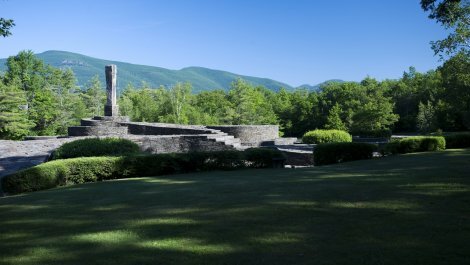 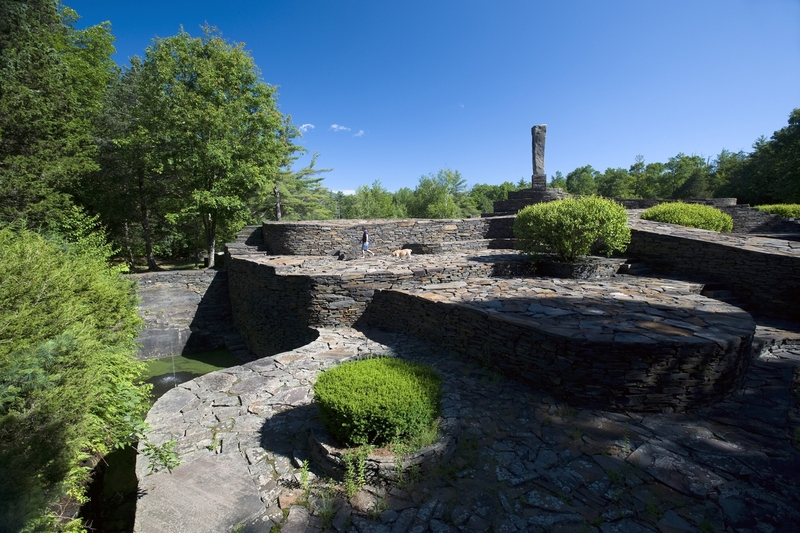 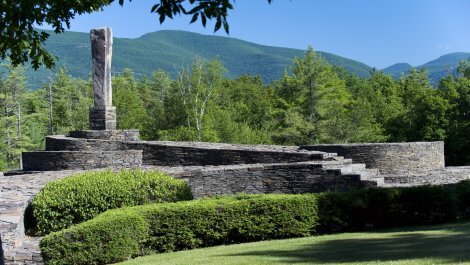 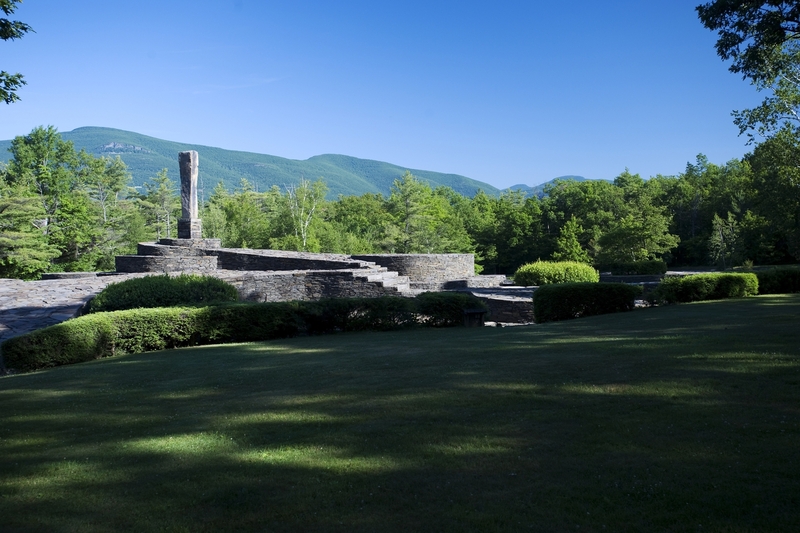 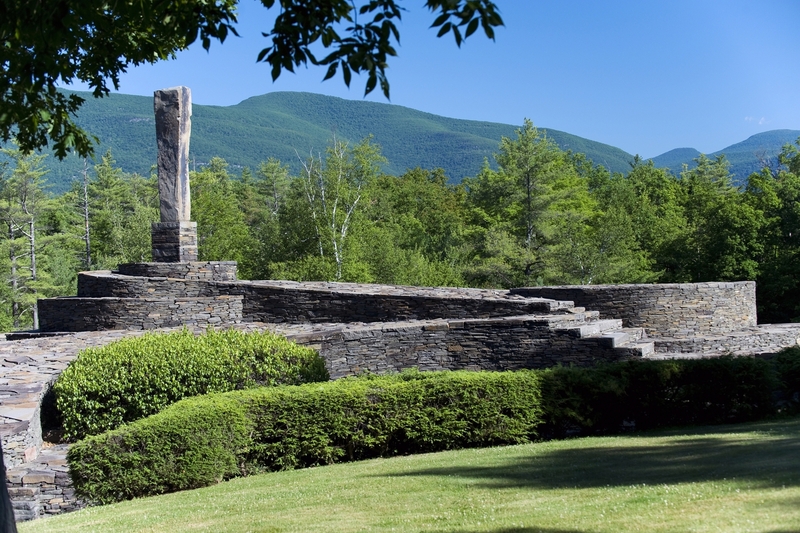 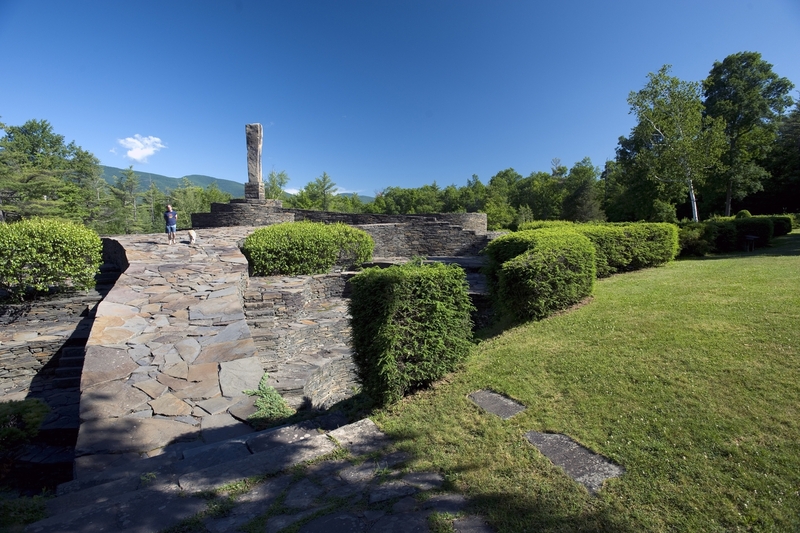 Begun in 1939, sculptor Harvey Fite created Opus 40 at the site of an abandoned quarry. 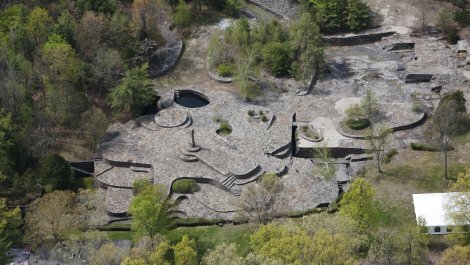 Using only hand tools and no mortar or cement, he fitted together thousands of stones to form a series of terraces, ramps, and steps to serve as a showcase for his sculptures. 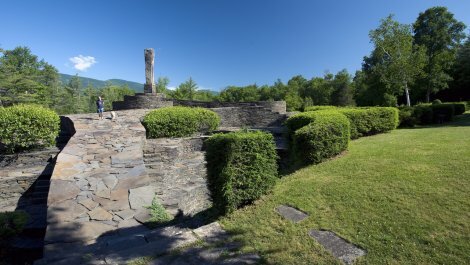 Over time, the setting became a piece of sculpture in its own right, and his sculptures were placed in the surrounding landscape. 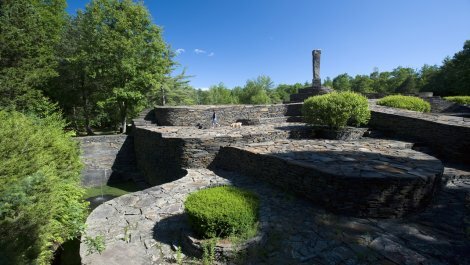 The site also includes the Quarryman`s Museum, which Fite designed to exhibit 19th century quarryman`s tools and home furnishings.